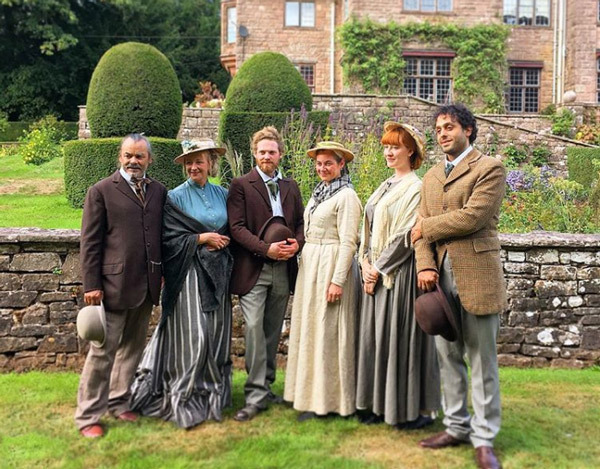 This post is about introducing the six artisans appearing in a short series on BBC called "The Victorian Arts and Crafts House"
As I indicated yesterday in The Victorian House of Arts and Crafts - Episode 1 I'm pretty tired of seeing the various television companies make programmes involving people who have expertise without any credit whatsoever. They don't need to include their websites and be accused of advertising. However they do however need to respect them as adult human beings with skills and talents and NAME THEM - with surnames! By way of making up for this very marked deficiency in respect and human rights I propose today to set out a brief summary (below) of each of the artisans - with their FULL NAMES and links to their websites and any other relevant/related sites including videos. My work is based on a love of storytelling, movement and colour. From elegant vessels to boxes with secrets, each individual piece is fashioned and embellished using the techniques of repousse and chasing. I design sculptures and silverware with a twist, which on closer inspection or handling reveal an additional function. Interaction and discovery of unexpected movement, revealing flashes of colour and texture, bring to life these wonderful characters and creatures of nursery rhyme and fable. 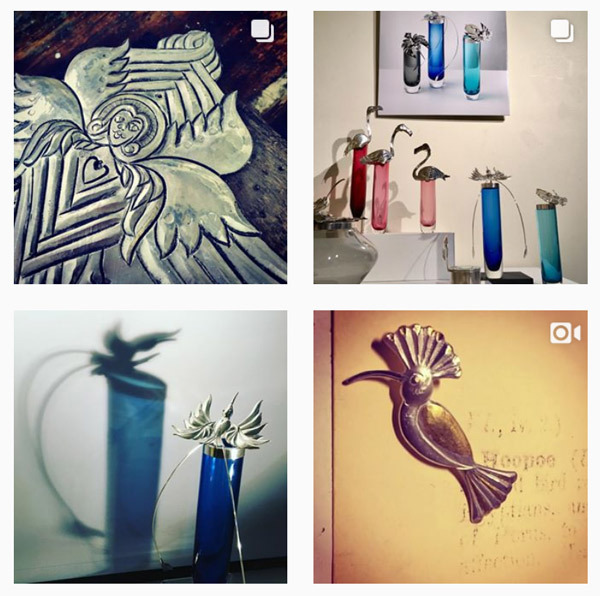 she is a member of the Contemporary British Silversmiths - and "designs sculptures and silverware with a twist"- including mixing silverwork with glass - and making it kinetic. she's the Artist in Residence at Edinburgh Zoo. You can book to take a MASTERCLASS WEEKEND WITH BRYONY in 2019 - see her website for more details. This is a Meet the Maker video by Craft Scotland - about Bryony Knox and how she makes her work. 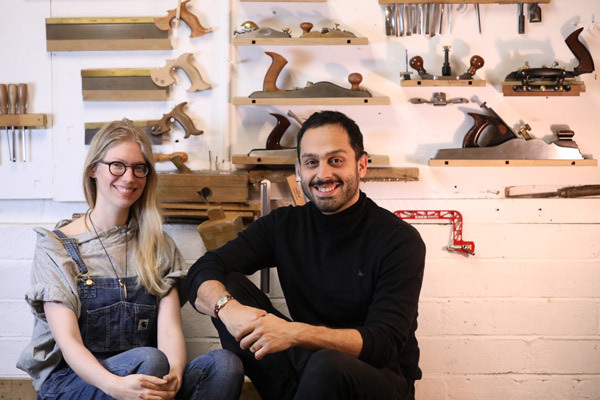 Nafisi Studio is run by husband and wife, Abdollah and Kate Nafisi, a local bespoke furniture and sculpture studio making traditional joinery tied with modern luxury. He learned his woodworking trade in Iran, where he set up his first workshop before coming to the UK in 2011 to set up his studio here. In terms of output he's created both luxury furnishings and artwork for the home and sculptural works for the outdoors. Ilsa is an award winning design practitioner, with advanced specialist knowledge of 3D design, art direction and product commercialisation. She is managing director for Rethinkthings LTD, a cross disciplinary design consultant to industry and a musical performer with three organisations. She is named inventor on granted patents in the US and UK and is a Senior Lecturer at University of Lincoln. age 37, born and lived in Liverpool - and Manchester, Oslo and Paris - and Liverpool again. she's an award-winning product designer with a digital focus who likes to create something with a purpose and not just because she can. Her previous clients include Heals, Unilever and Sony. she designs objects and imagery for a range of contexts, from the industrial to the sculptural, and runs an independent giftware brand. previously filmed "Design for Life" in Paris with the iconic French designer Philippe Starck for BBC2 (2009). 12 contenders were challenged to "design a product to help humanity to survive". 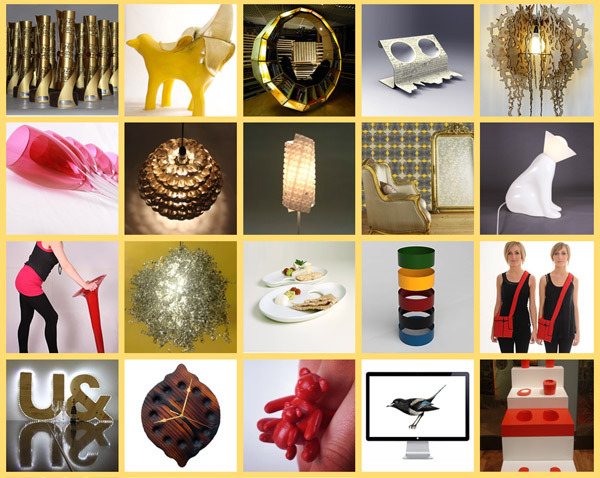 Each week a designer was eliminated if their work did not meet with Starck's approval. Ilsa designed the patent protected "Flo Standing and Walking Aid" and went on to win the programme outright! The challenge of this new programme for Ilsa is to test whether she can continue to be creative and make things without any access to the digital tools she normally uses in her work.